Catharine Pendrel is well known for her accomplishments as an athlete - Olympic bronze medalist, two-time world champion, Commonwealth Games champion and many World Cup and national championship victories. She is here at the National Championships in Canmore, Alberta, although not racing as she recovers from a broken arm suffered in a training crash. However, what is not so well known are the ways Catharine gives back to the sport. A few years ago, Catharine started started returning the federal carding money she receives as an elite athlete - roughly $18,000 per year - which she requested be given to athletes that don't have a pro sponsorship like she does. She has also started Pendrel Racing; a development team that assists up-and-coming Canadian athletes with access to equipment and coaching from Catharine and her husband, Keith. 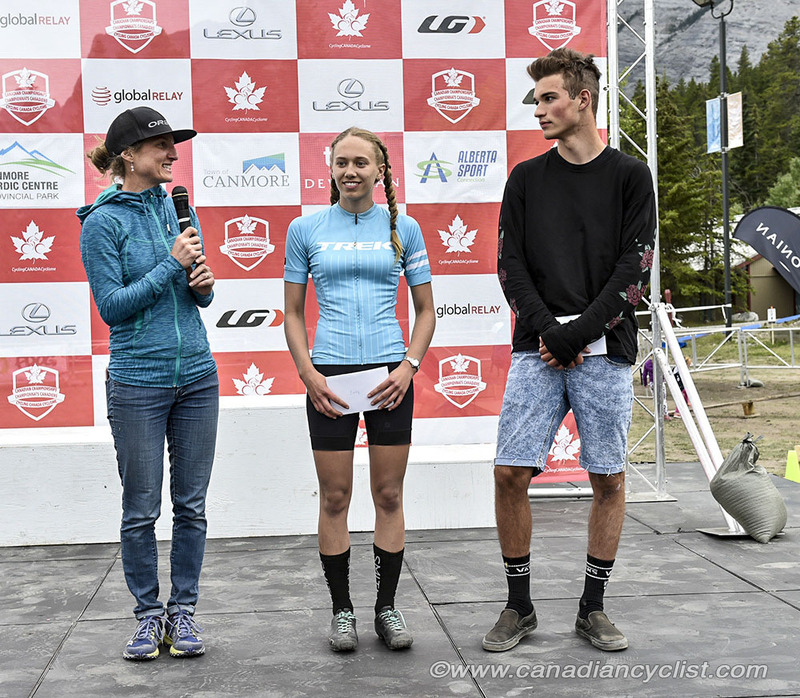 And, yesterday, the first annual Catharine Pendrel Scholarships were given out to Emily Johnston and Charles-Antoine St Onge - a program started by the current Canmore organizers of the national championships for the first two years, and now supported on an ongoing basis by Cycling Canada. We spoke to Catharine about her team, the new scholarship and her return to racing.